I fell in love with vintage a long time ago. Anything older than 20 years is considered vintage; however I wanted to go back much further in time, to another era where stationery design was just beginning to emerge. I looked at the late 1700s – 1800s as the starting point for my initial research, although much of the beautiful initial lettering and typography that were hand drawn during this time are “lost”, often dying with the illustrator. Graphic design from this time period was a lot looser in terms of how many fonts appeared on one design. Sometimes no “space” was given to the type and it was very common to see many different fonts on one design. Hand drawn fonts often followed imaginary curvy lines, adding uniqueness to a design. Somehow it worked, and still has a lot of appeal today, even though we as graphic designers are encouraged to stick to one or two fonts and to allow the design to have space. My designs are created around this particular period, so black, white and cream are used quite a bit. Vintage isn’t just limited to this time period, so being adaptable to the needs of my bride-to-be is very important. Being versatile and adaptable with a good listening ear helps understand what your bride is looking for. I find creating a mood board for the design can help a lot. It might be some old text, imagery, colour or just something that is mentioned in passing that can help the creative juices flow. The majority of my designs are created in Adobe Illustrator, where I can make use of the powerful vector features, which give me more freedom to work around. For me, this conjures up visions of warm, summery days, fields of corn gently blowing in the breeze and honey bees busily flying between the flowers in full bloom. Butterflies, music, bunting, bird song and blue skies. I decided to try and approach this from two very different angles; one from very early on in history when wedding invitations were created elaborately and often ‘showed’ the family wealth and position in society, and one very simple, elegant floral wedding invitation that beckons you into the sunshine. The best font layout to use is very similar to playbills of the 1800s. The use of big, loud fonts like the circus styles; Rough Rider, Phaeton, the plainer Georgia and typographic ornaments that all come together to create a very busy, but very interesting design. Theatre companies advertising forthcoming attractions used this same style. Historically, coloured inks were expensive and dangerous to use due to the chemicals used to make them. For this reason, many designs, type, wood-etched illustrations and drawings would be printed in black. This design has been created in a very simple black on white, which would not look out of place at an English country wedding. The idea was to take an old design style, re-create it using modern techniques, look at fonts from the time period and — where possible — try and keep it authentic. An invitation to a wedding from the 1800s would have been received in a grand style, in a double envelope brought on horseback to the house of the intended, where the outer envelope would have been discarded by the butler and taken in pristine condition to the Lord or Lady of the house. The layout was still free, the handwritten text following imaginary wavy lines. Freedom of pen strokes, or ‘Spencerian pen strokes’, were very popular. These could surround single words, sentences or whole phrases. This style tended to look very ornate and grand, and was a sign of excellent penmanship. To take the vintage theme a little further, I like to incorporate some rare and unused words that have been forgotten. Words like: ‘coquetry’, ‘jollification’, ‘grubbery’ and ‘buffoonery’ lend themselves perfectly to my English country wedding theme. My second idea is based on the delicate and dreamy nature of a country wedding. Creams, greens, roses and all things feminine and beautiful. The card almost sets the scene for what you could expect when you arrive at the event. This theme uses framed text as a focal point for the invitation, keeping it clear and uncluttered. I wanted the text to draw you in and personify ‘country’. These have been designed to a 5×7” size with a matching thank you card to compliment the wedding invitation. The designs can very easily be extended to: order of service, save the date, RSVP cards, wine labels, table numbers, place cards and even the seating plan. 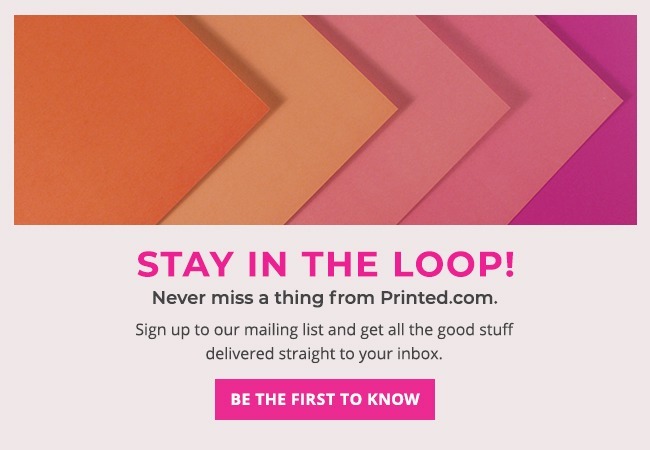 Using printed.com to print out your wedding stationery guarantees that your design will be print perfect. What more could a bride ask for? I like the black and white ones best – very quirky.